I am constantly looking for ways to reinvent the wheel. Especially in the kitchen! 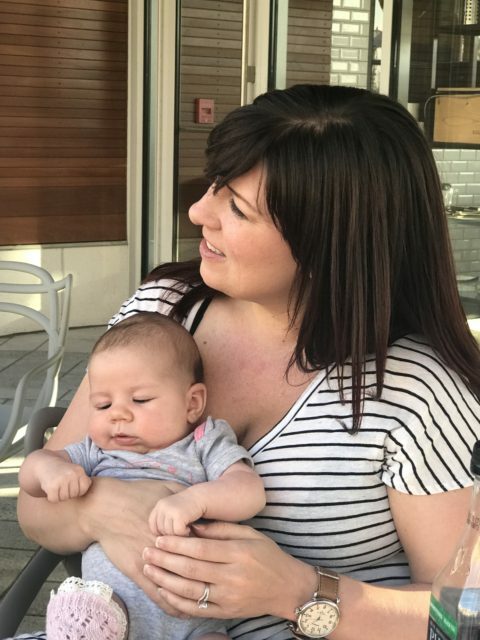 I have some go-to meals that we might make every week or some recipes that I use more often than others. Since I cook soups every weekend it is almost a given that something is bound to be repeated. And if it’s one of our favorites, or easy to make, it’s getting more play time for sure. 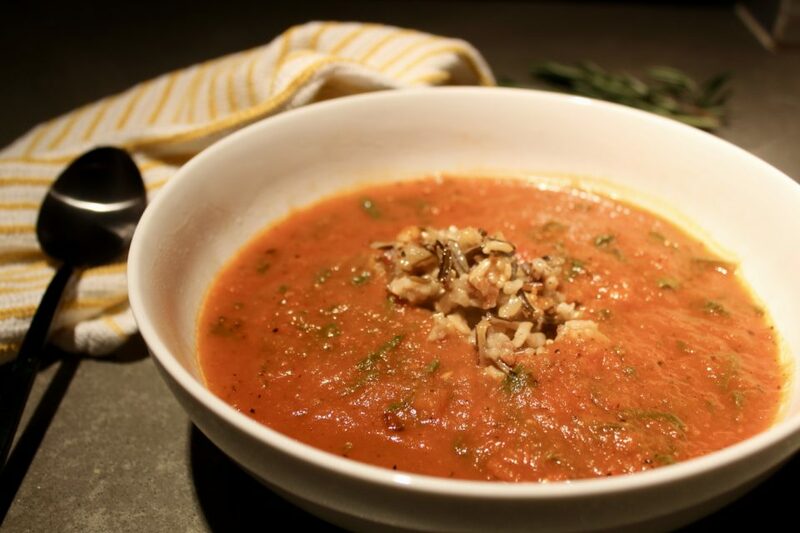 One of the easier soups I make is my roasted tomato soup. 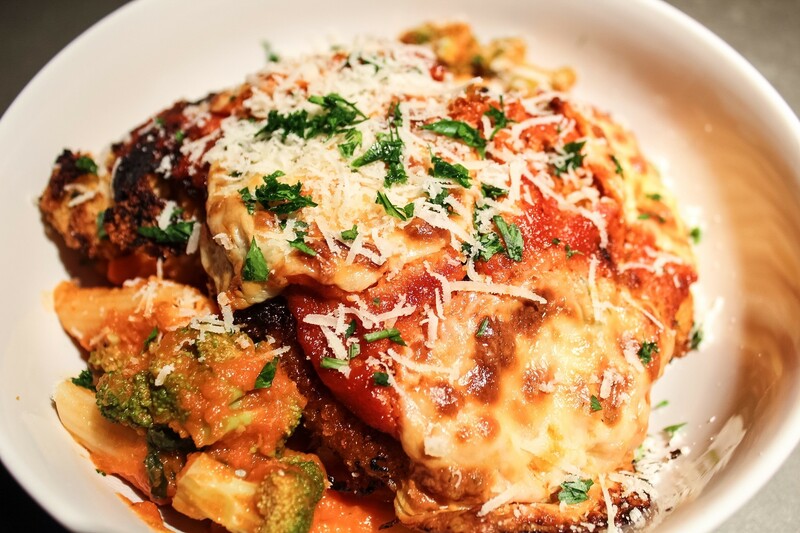 It consists of putting bell peppers, onions, a big can of tomatoes and lots of spices in a baking dish and letting it cook up in the oven, so easy. While your vegetables cook in the oven it allows you the free time to do whatever it is you have to get done. I wanted to try to make a different version of this soup with a little more substance but use the easy to make tomato recipe as the main “base”. There is a Detroit based chain restaurant that has usually 10-12 soups a day. One of the soups they had was a tomato, spinach and brown rice soup. But the soup was SO salty. Personally I like to make my own soups for this reason – I can control the sodium (and everything else!) that goes in it. 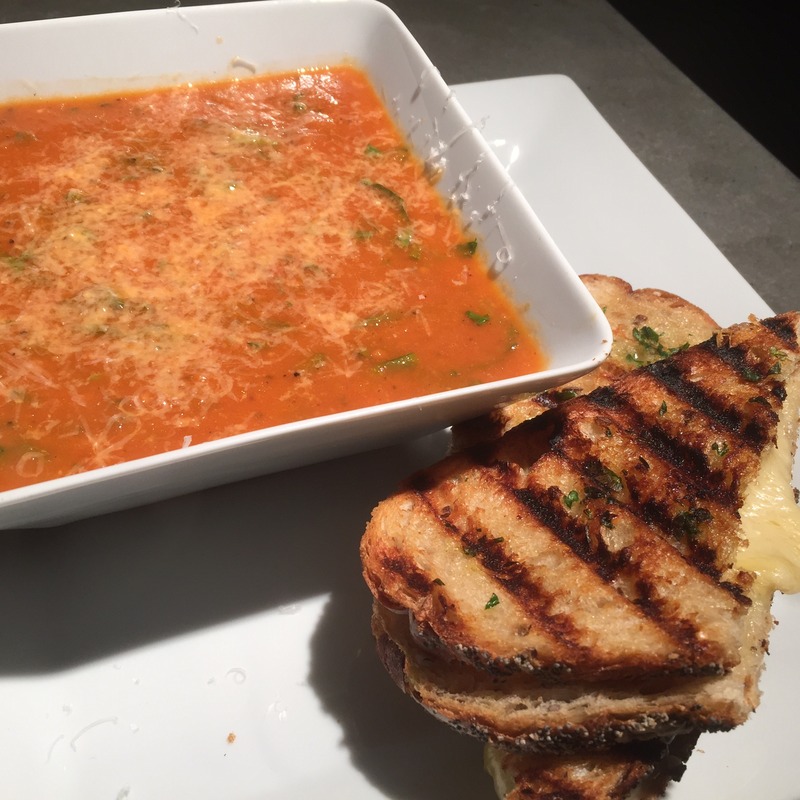 I thought I could replicate this soup by using my roasted tomato soup as a base. Don’t be alarmed by the char on these veggies – it gives it a nice roasted flavor and will be blended up! The addition to the extra ingredients actually did not take much more work. While my veggies were roasting in the oven I cooked my rice. Instead of using brown rice I opted for a wild rice blend. I really like the heartiness and nuttiness that the rice brings to the soup. Additionally, if you cook your rice in vegetable or chicken broth instead of water it gives it an extra layer of flavor. Once the veggies were done roasting I used my immersion blender to puree the soup to a smooth consistency. Then I added in diced zucchini and fresh baby spinach to give the soup some greens (and extra nutrients!). To serve I put my rice in my soup bowl and ladle the soup over it. I like to keep the rice and soup separate so the rice doesn’t absorb all the liquid and make the soup too thick. 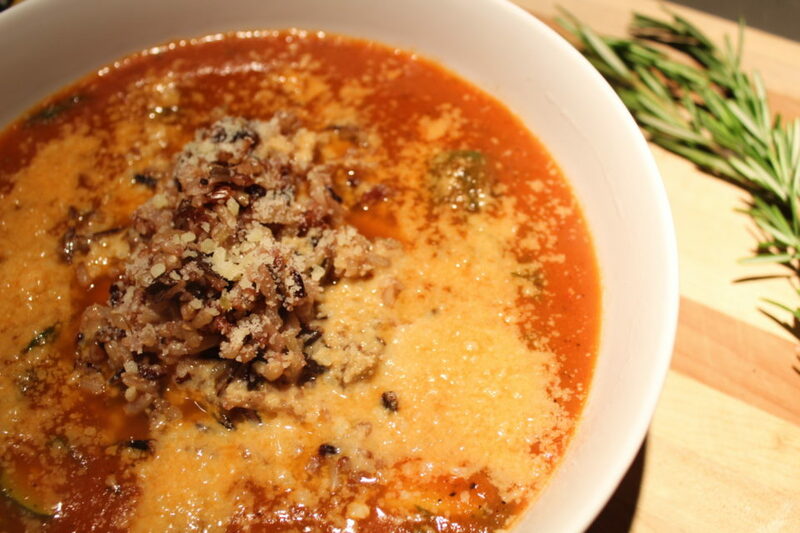 Finally you can top the soup with a little parmesan cheese just for that something extra. When you have a good recipe it’s almost hard to believe you could make it better. But this version of a favorite does just that. Adding just a few ingredients while keeping the same basic base results in a new recipe to add to the collection. Plus the cook time stays about the same. 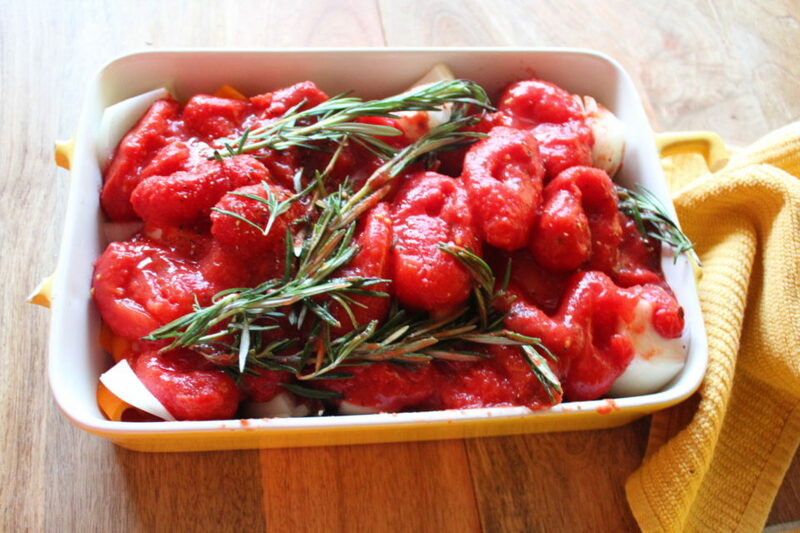 In a large baking dish combine onions, peppers, tomatoes, garlic and rosemary. Season liberally with salt and pepper. If using red pepper flakes add these to the mix as well. Broil on high for 45 minutes stirring every 15 minutes or so. 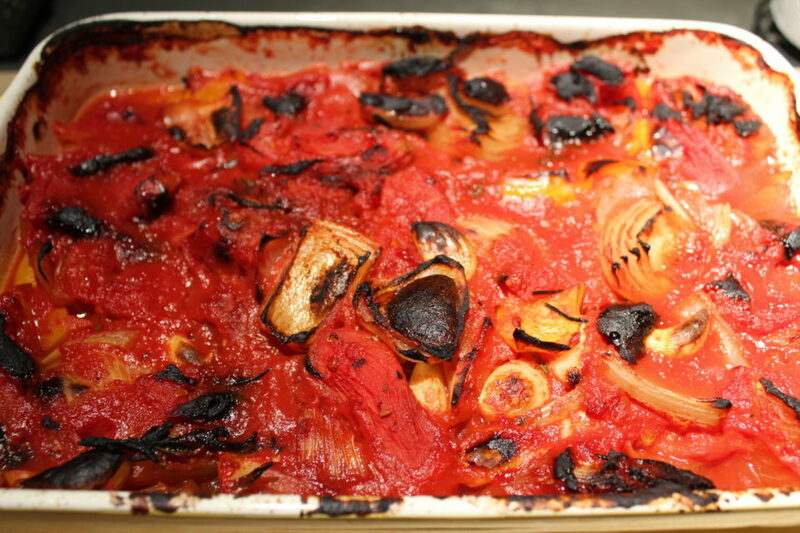 It is ok if the vegetables get slightly charred on the top. While the veggies are cooking I make my rice. 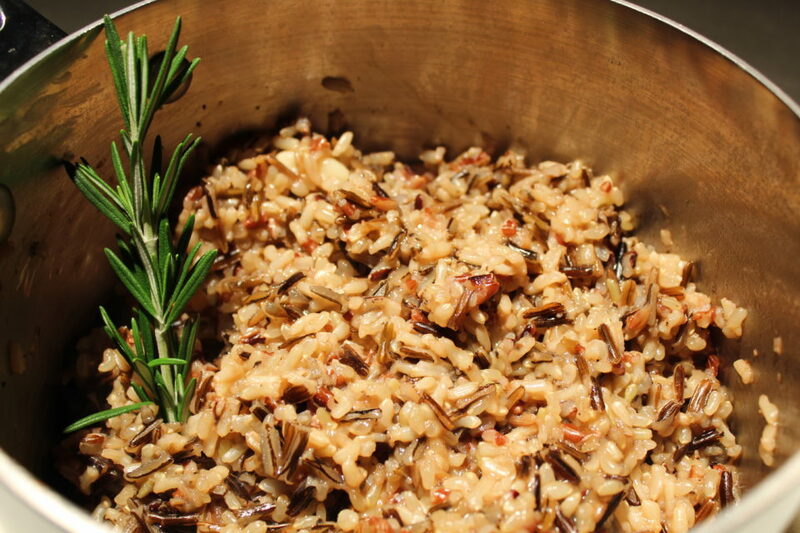 Wild rice tends to take about 50 minutes to cook. Read the instructions for your rice for the liquid to rice ratio. Usually it's 2:1. I replace the water with 4 cups of broth. Combine broth, rice and butter together in a saucepan. Season with salt and pepper and cook according to package directions. Once the vegetables are done roasting transfer to a large soup pot. Pull out the sprigs of rosemary and once cooled, remove the leaves from the woody stems and place back in the mixture. Using an immersion blender puree the soup until completely smooth (it takes a few minutes). If you are using a regular blender transfer straight to blender and puree in batches. 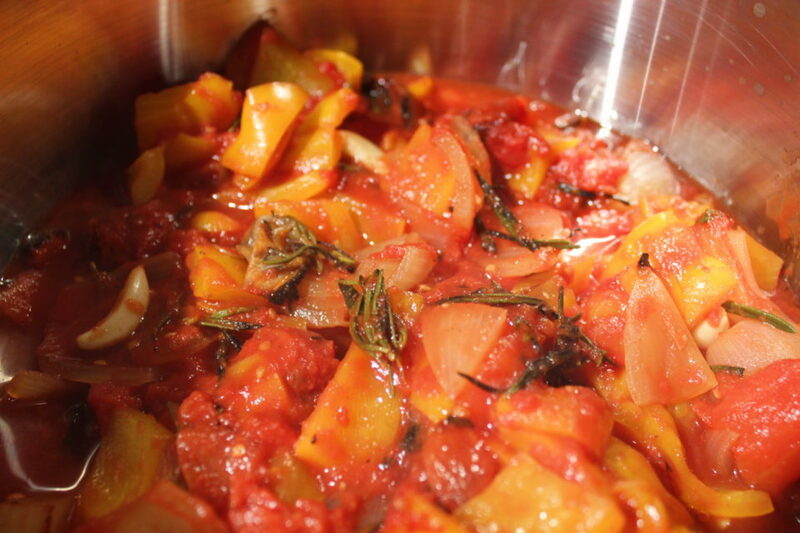 Once soup is pureed, add 4 cups of broth to the tomato mix. Turn heat to medium and add in zucchini and spinach. Cook another 15 minutes until zucchini is tender. To serve, serve the soup over a half cup of rice. I like to keep my rice and soup separate or the rice will continue to absorb the soup and the mix thickens up too much. Top with some parmesan cheese if you like.